The Brother DCP7065DN Laser Printer is a 3-in-1 monochrome laser printer, scanner and copier that aims to rule your office. It is fast and can print up to 27 pages per minute and also can do two sided duplex printing which can save you paper and money. It has a resolution of 2400 x 600 DPI and it can store up to 35 pages in its auto document feeder. After using this printer for the past six months, it has handled every job we’ve thrown at it flawlessly. No complaints as it boots up fast and is ready to go. 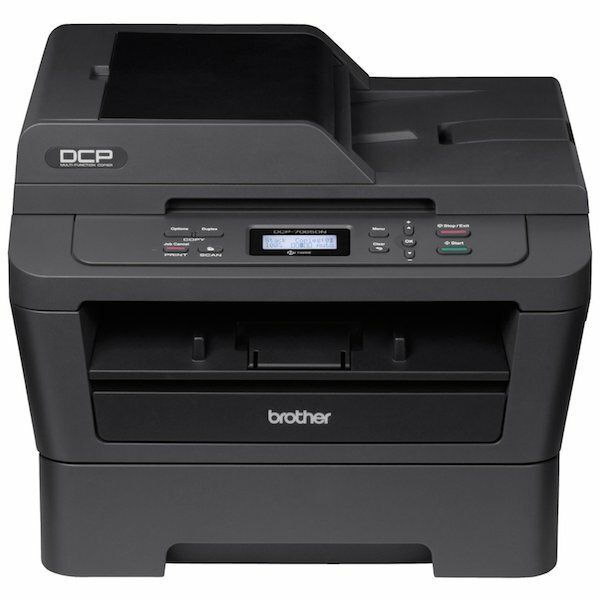 You can check out the Brother DCP-7065DN Laser Printer here from Amazon.ca or Amazon.com.